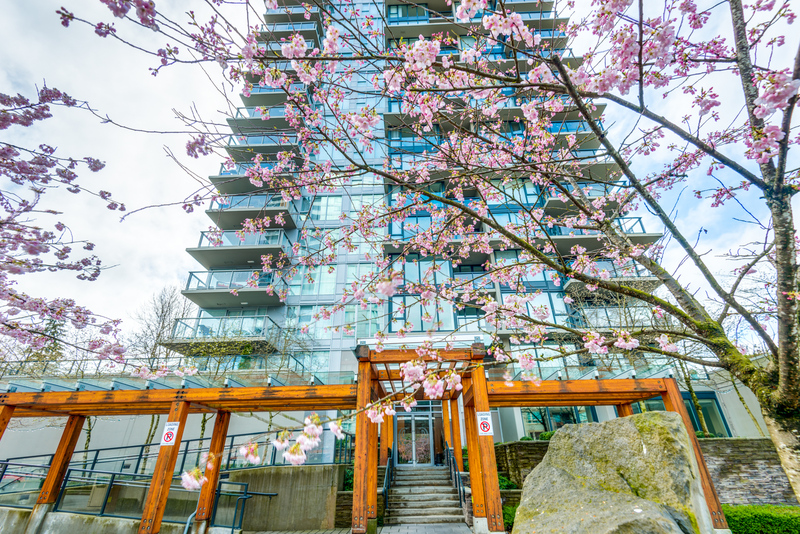 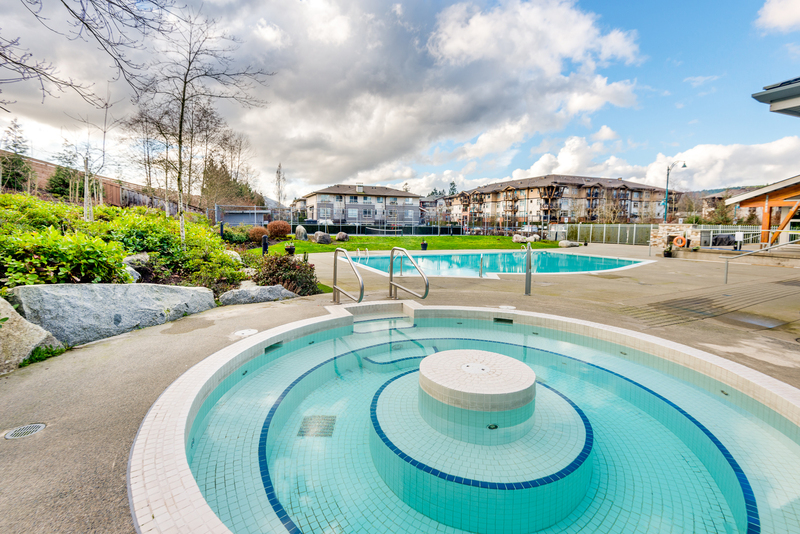 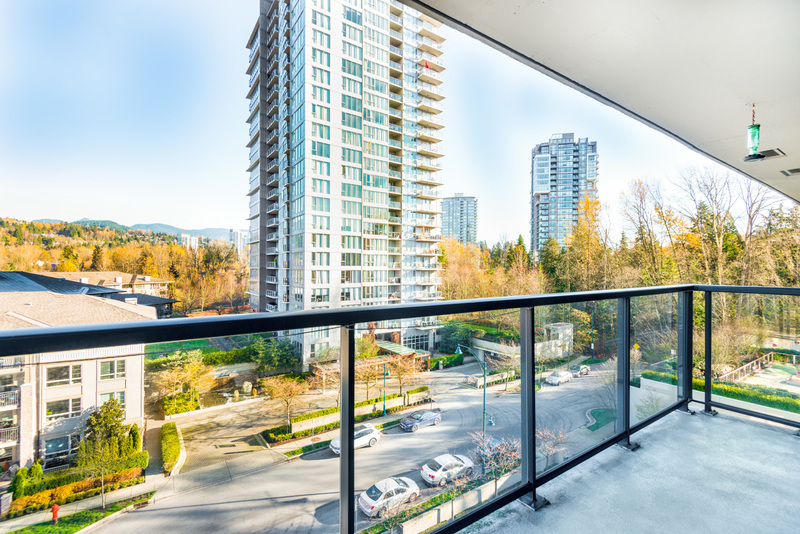 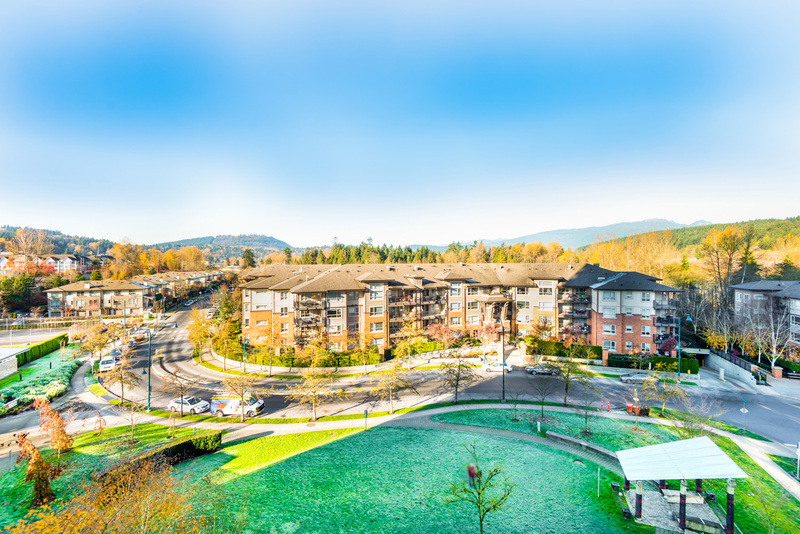 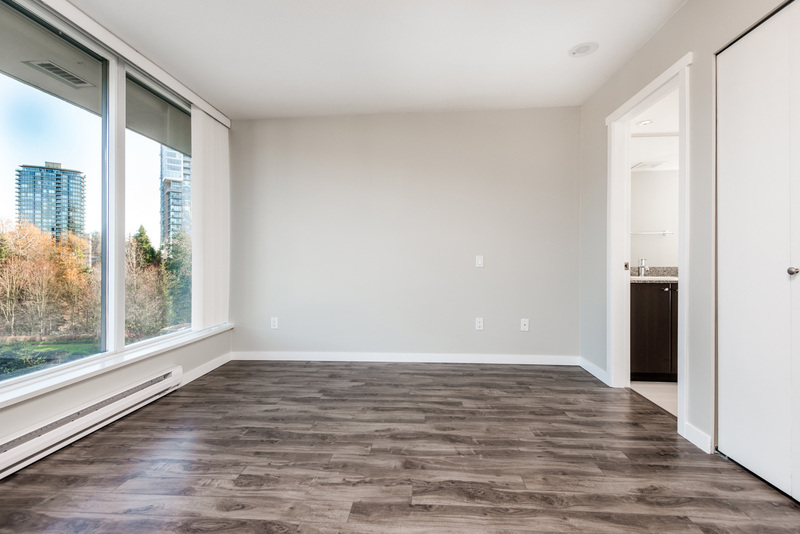 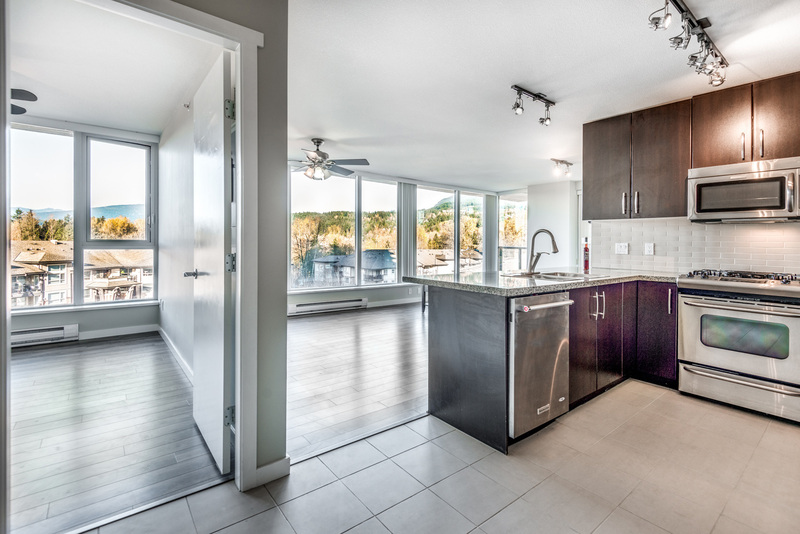 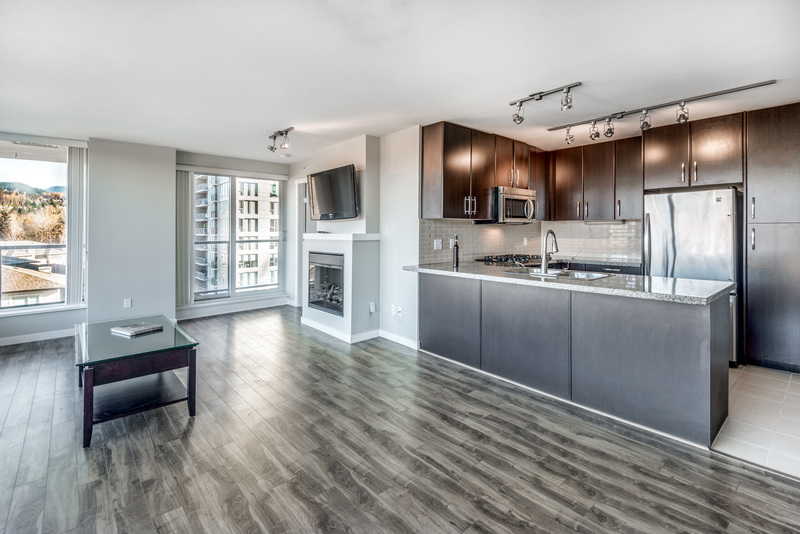 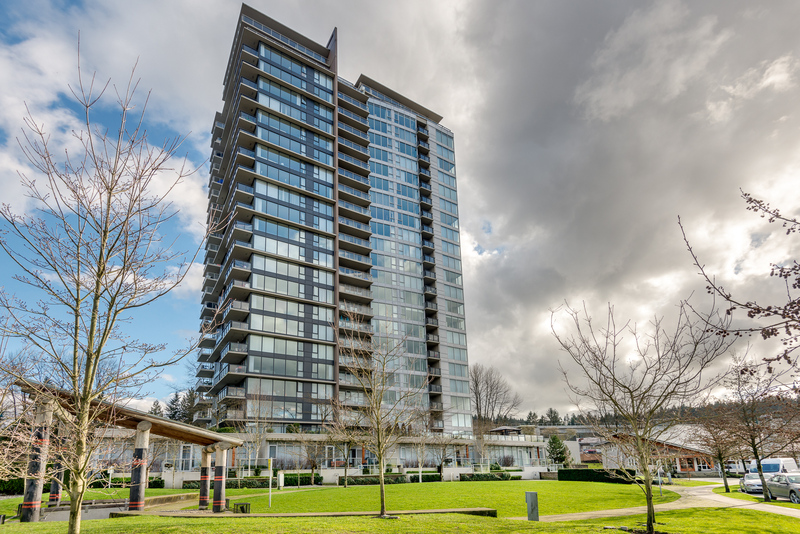 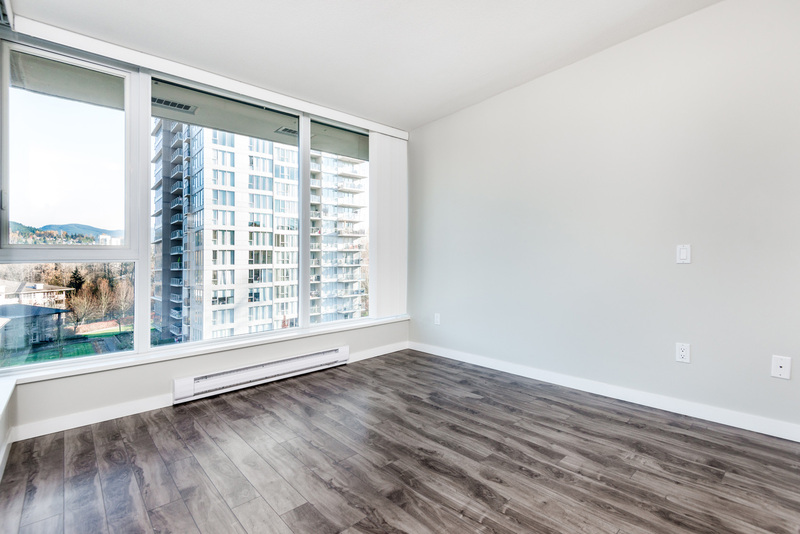 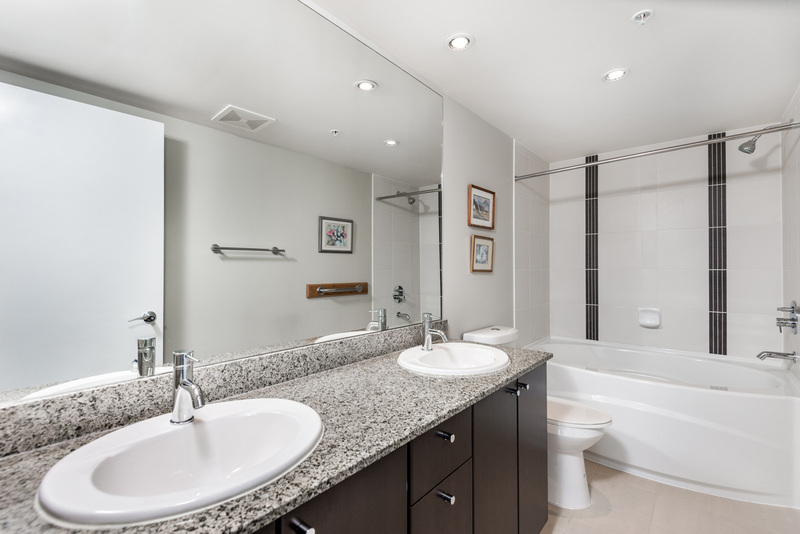 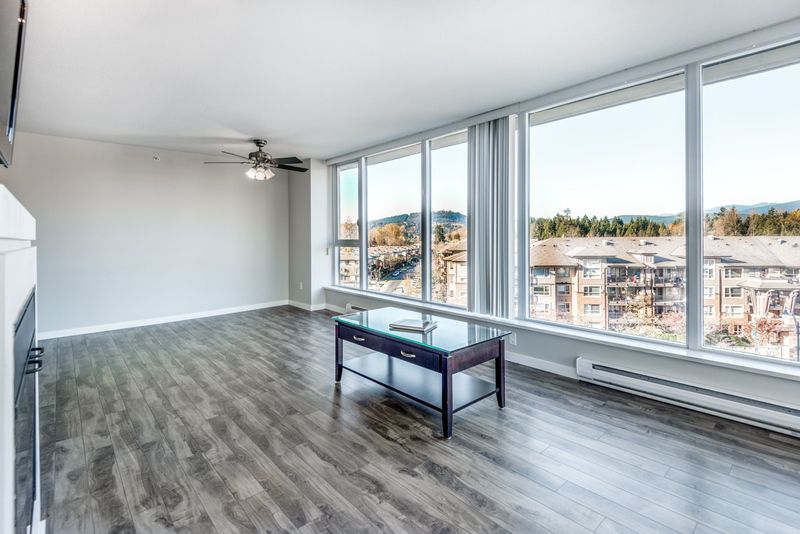 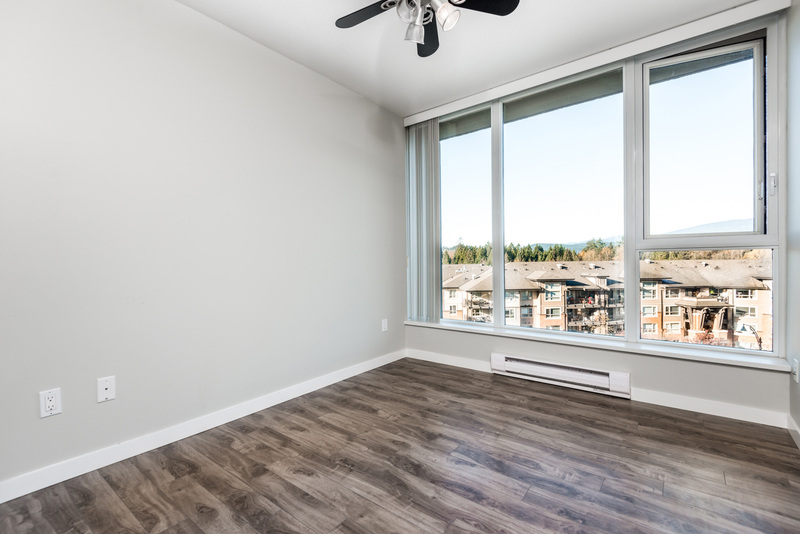 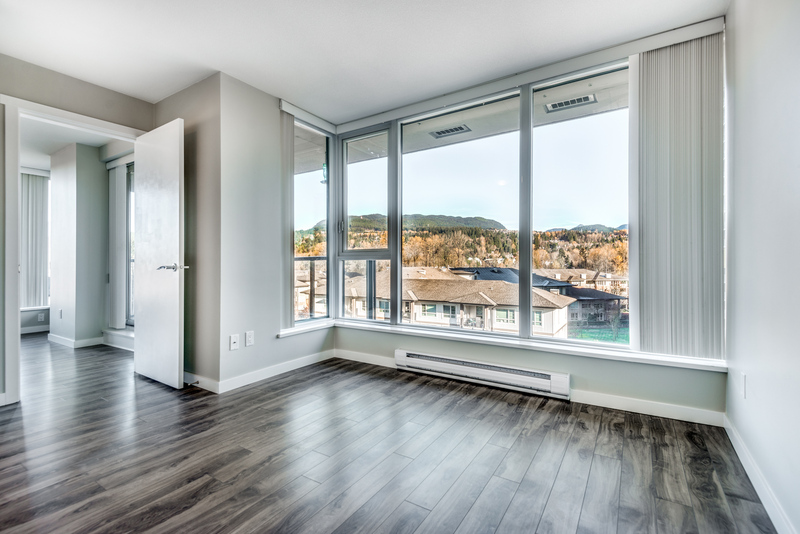 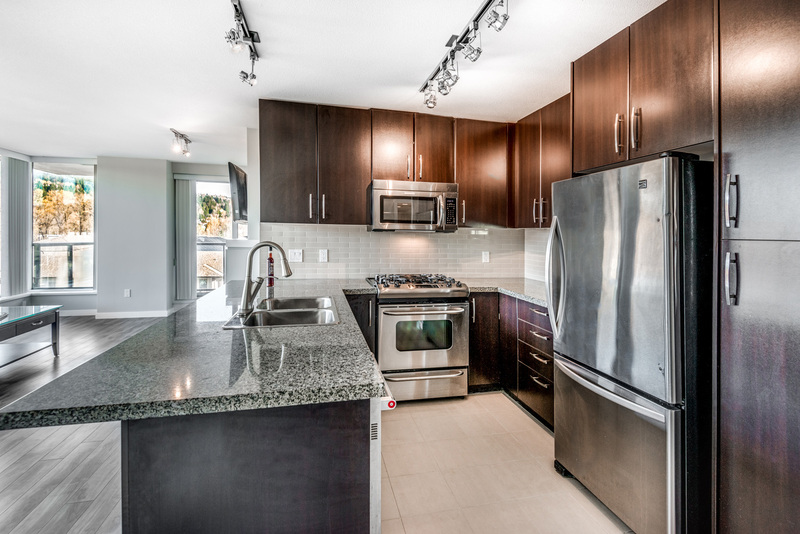 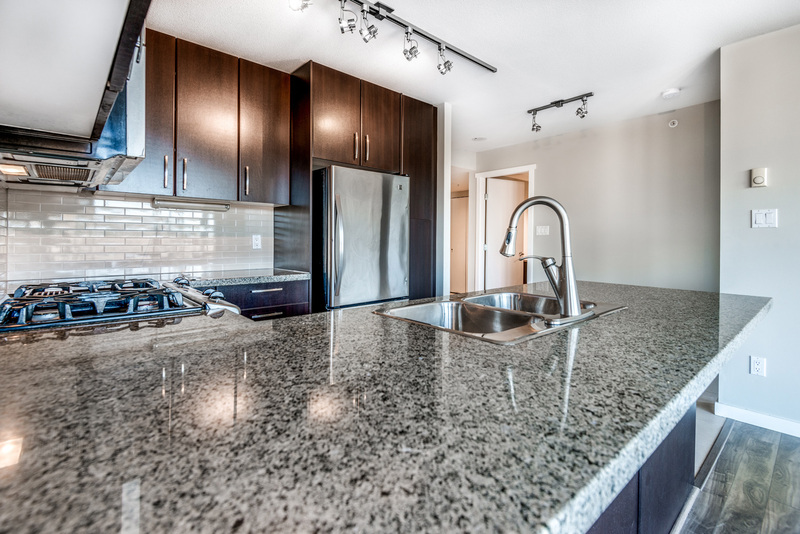 SAHALEE - Built by Polygon, Rarely available corner unit with incredible mountain views in a prime location! 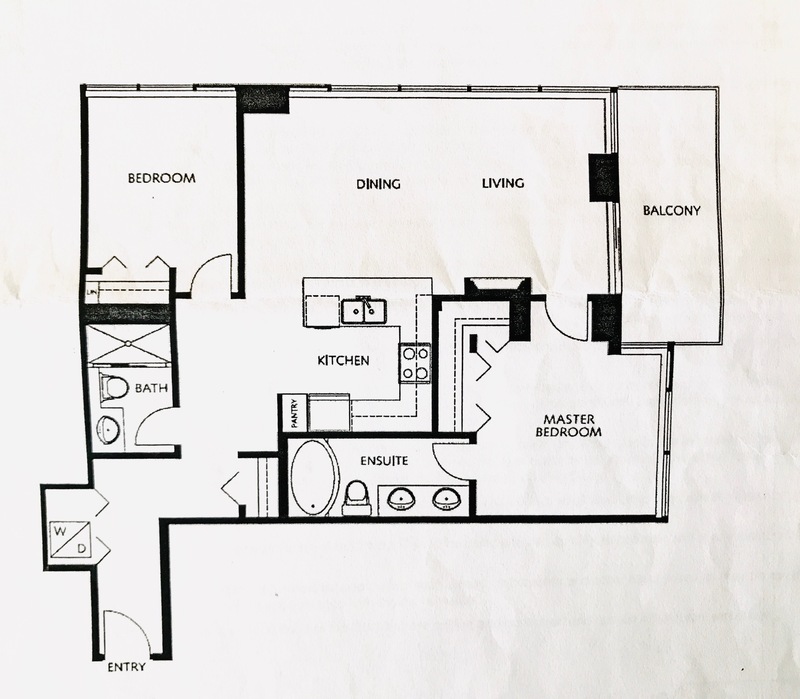 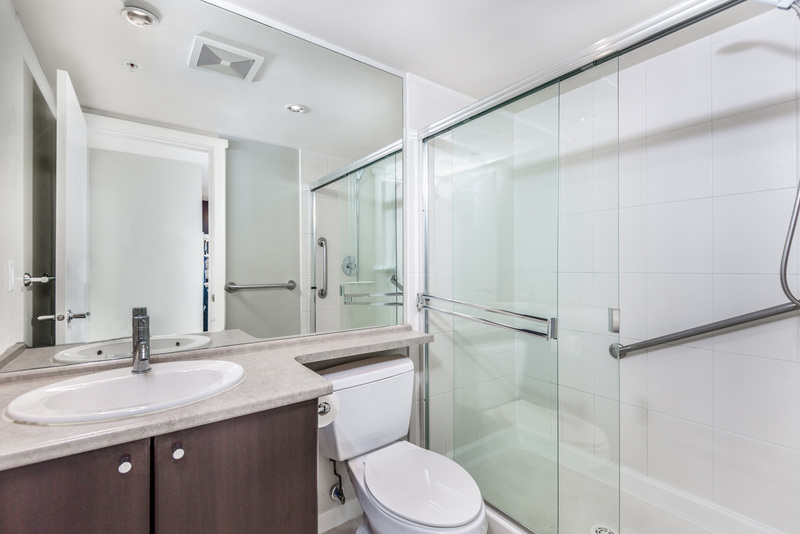 Featuring 2 bedrooms, 2 bathrooms, with 982 sqft of living space, and one of the best floor plans in the building. 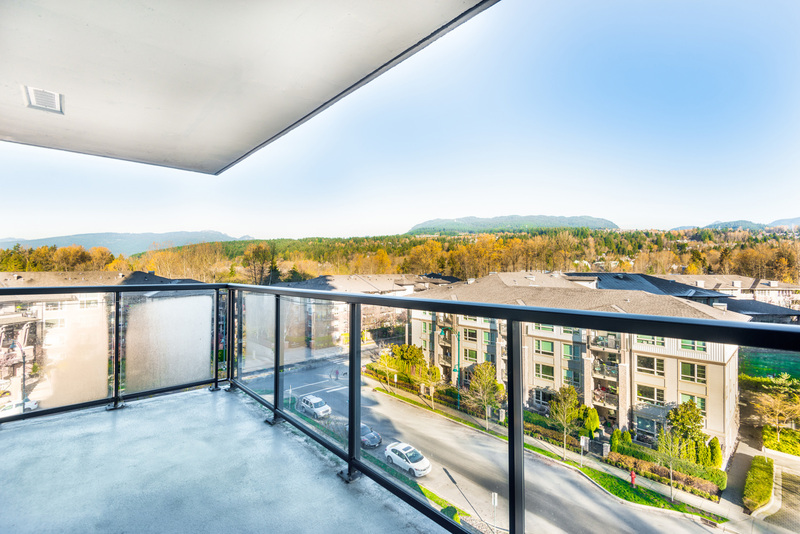 Enjoy sunsets and panoramic mountain views from the West and North facing wall of windows. 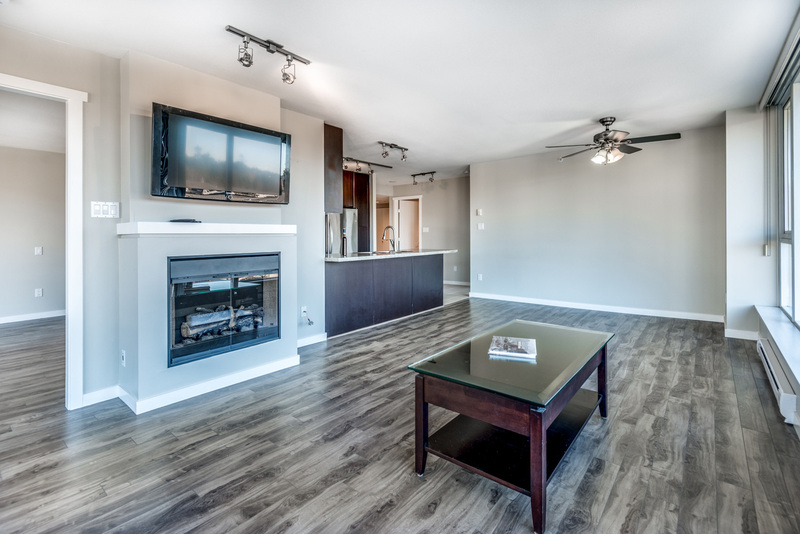 Very bright and functional open concept floor plan with bedrooms on opposite sides of the living space, and new laminate floors! 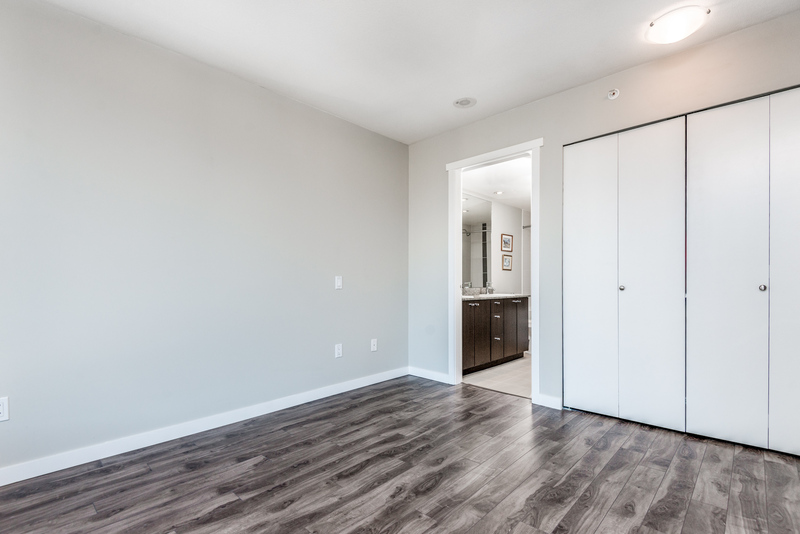 BONUS 2 parking stalls and 1 storage large locker! 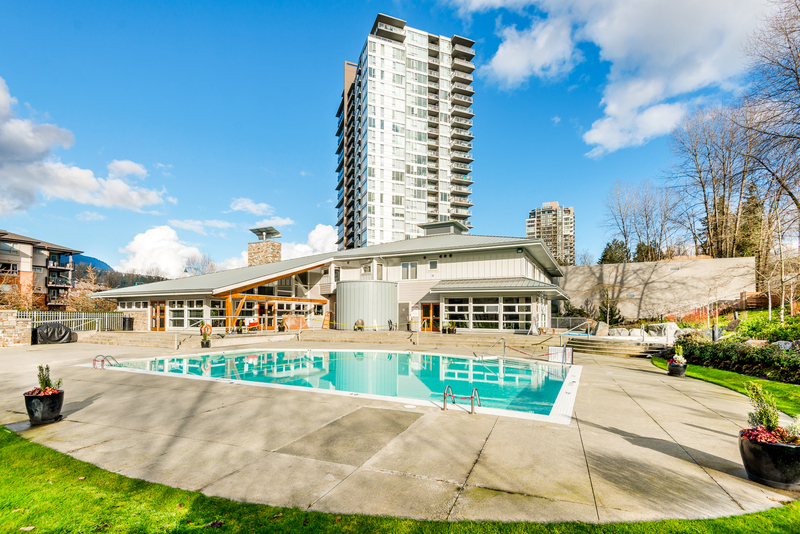 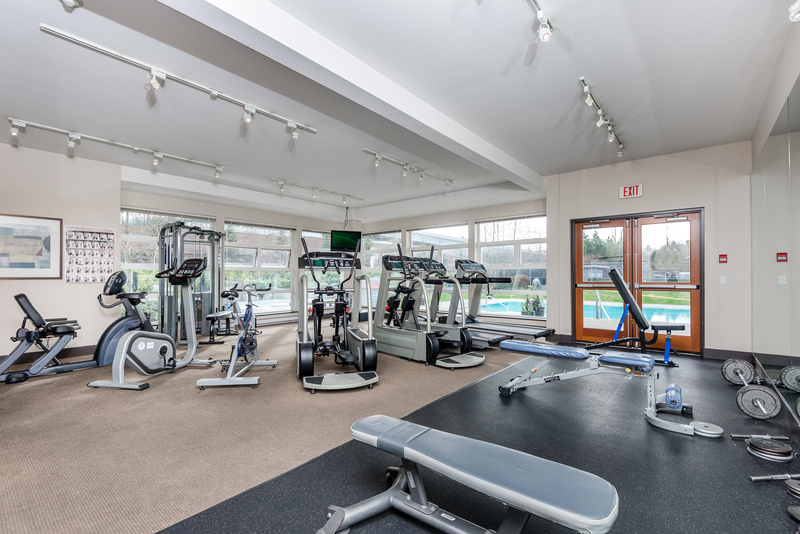 Resort like amenities at the Canoe Club (over 15,000 SF!) 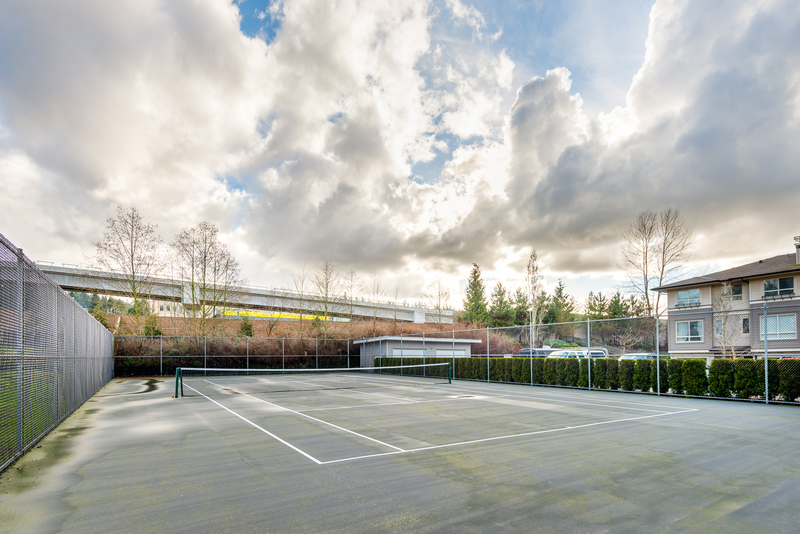 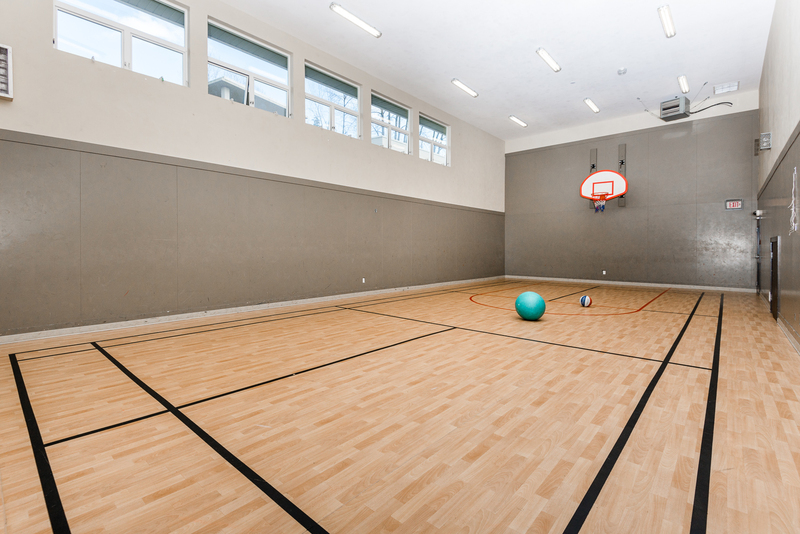 includes; Outdoor Pool, Hot Tub, Tennis Court, Guest Suites, Indoor Gym, Exercise, Games, Media, Party and Kids Rooms as well! 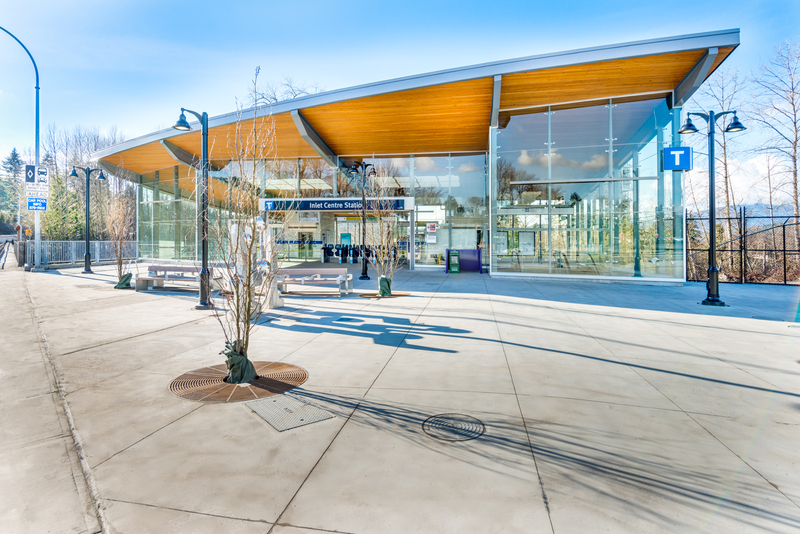 Steps to Rocky Point Park, West Coast Express & Skytrain.